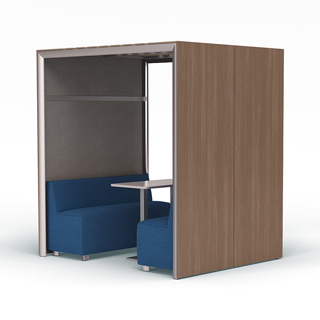 Jux by OFS blurs the lines between interior architecture and furniture. 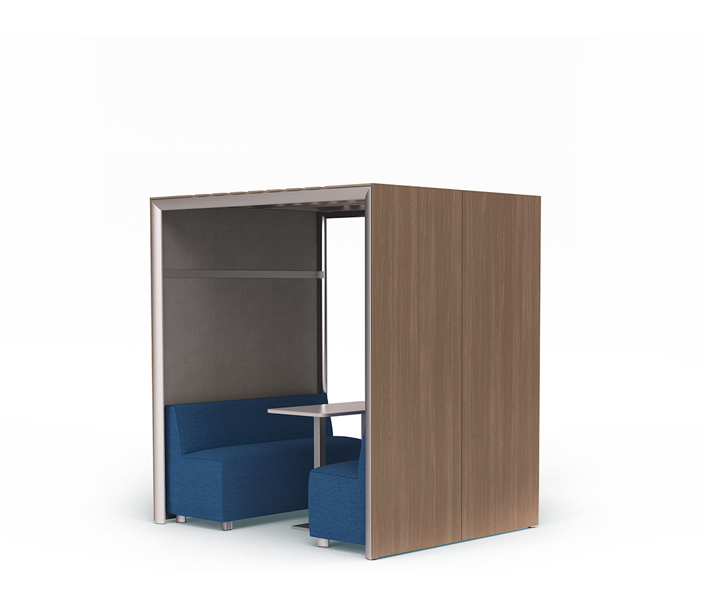 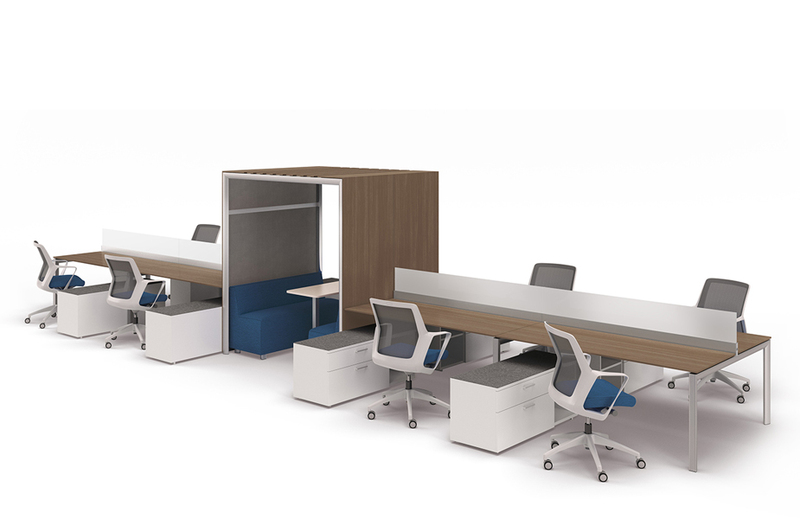 Re’s height-adjustability and integration of standing height surfaces allows workers to move fluidly between sitting and standing work positions Access points for both individual and group refuge can be integrated or freestanding. 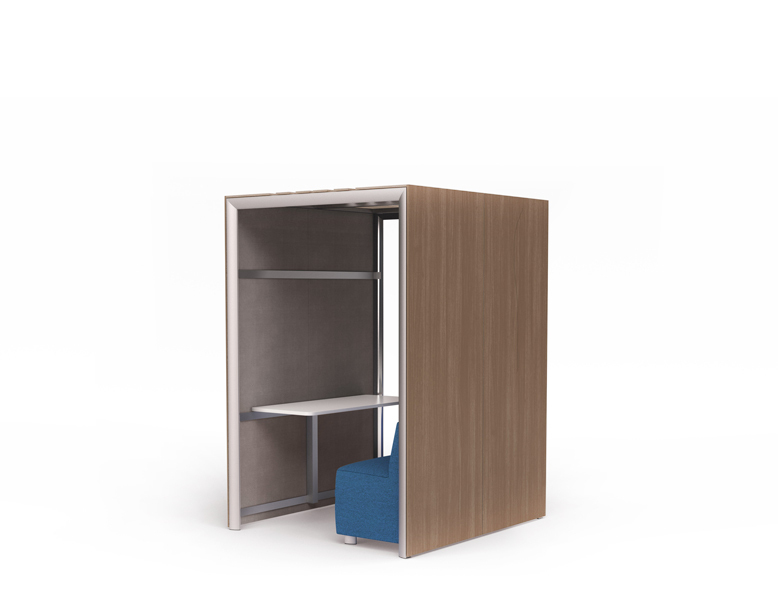 Re features a central storage spine that allows for a variety of planning methods with a range of densities.